Central and Eastern Europe, once a boom region for the legal industry, is now suffering from political uncertainty, a glut of lawyers and fierce competition that is squeezing charge-out rates and profit margins. In the past year, Weil Gotshal & Manges has closed its offices in Budapest and Prague and placed the future of its Warsaw operation under review, while Squire Patton Boggs has pulled the plug on Budapest. It follows a number of firms reassessing their presence in the region. 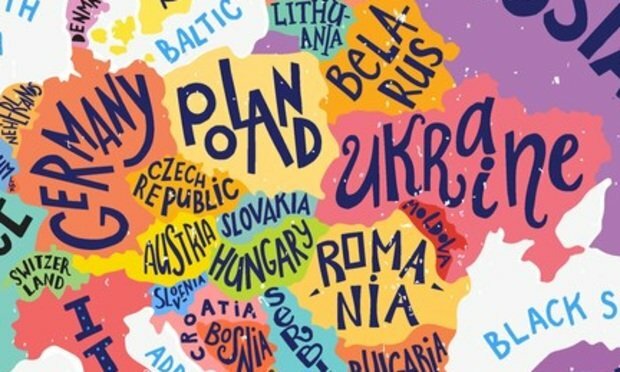 Hogan Lovells, Norton Rose Fulbright, Weil, Squire, Clifford Chance, Linklaters, Freshfields Bruckhaus Deringer and Allen & Overy all launched their Central and Eastern European bases in the 1990s or early 2000s. But Linklaters pulled out of four of its six Central and Eastern European bases in 2008, and in 2009 Clifford Chance pulled out of Budapest and Freshfields pulled out of Bratislava – its only Central and Eastern European base outside of Vienna and Moscow. In 2014, Hogan Lovells and Norton Rose both pulled the plug on their Czech Republic offices. And since then, Weil and Squire have followed this trend. Following the moves by Weil and Squire, rumors are now circulating over the future commitment of other law firms to the region, which has an overpopulated legal structure that is now making it much less appealing to international firms. One partner in a Central and Eastern European firm, who asked not to be named, says the region went through a boom in the 1990s as the former Soviet Bloc embraced the free market in the wake of the collapse of the Berlin Wall. He says that in 1995, 55 law firms were listed as wanting to set up offices in Hungary – the country thought of as the gateway to Central and Eastern Europe. But investors took a step back after the 2008 economic crisis and the arrival of nationalistic populism ushered in by the government of former professional football player Viktor Orban in 2010. “The love affair was over,” the partner says. The economy has since evened out from the crisis and has built-in legal activity, but remains a difficult market for some international law firms. More recent political turmoil spilling over into Central and Eastern Europe from Russia has added to the tensions. And now, firms pulling out of the region show that the area has not sprung back to where some firms would like it to be, or at least not for the strategies they operate under. Bird & Bird commercial partner Tomasz Zalewski says the lawyer head count in the Central and Eastern Europe has grown by the thousands in the past couple of years, and still the market is getting a considerable in-flow of qualified lawyers, yet the charge-out rates are “significantly lower” than other regions. He says fierce competition means even the big international firms have had to lower their prices. Soltysinski Kawecki & Szlezak partner Rudolf Ostrihansky, when interviewed in 2014, said the international firms were struggling to gain work in dispute resolution or litigation, with most work going to independent firms. This meant international firms were lowering their rates: “International firms are more eager to cut rates very deeply – to keep lawyers busy,” he said. Data from Mergermarket shows that deal value has dropped considerably since 2010. In 2010, the largest deal value was €22 billion ($24.9 billion), which increased to a peak at €54 billion ($61.2 billion) in 2012. This value then decreased significantly since then, standing at €7 billion ($7.9 billion) in 2018. As a comparison, Italy’s largest deal value in 2018 was €45 billion ($51 billion), Germany’s was €91 billion ($103.2 billion), France’s was €34 billion ($38.6 billion), and Ireland’s was €72 billion ($81.6 billion). One White & Case partner in Central and Eastern Europe says he sees three types of firms in the region: local firms, then two styles of international firms. “If you have a fully integrated network in CEE with a global brand, you can benefit from international clients while having the benefit of international management. “But if you are a more detached office of an international firm, in which you’re part of a network but the network isn’t really focused on the CEE or Europe, then you will struggle; you have neither the flexibility of the local firms, nor the support from your international brand,” he says. The partner points out that magic circle firms and some U.S. firms are successful because they have such a strong European integrated footprint, but others – like Weil Gotshal & Manges – do not. One ex-Weil partner says he suspects the firm’s closure of the Prague office was due to it struggling with insufficient local rates, making it a much less profitable office and that the office lead partner was keen to go independent, to work with his local clients without interference from Weil’s international managing body. Despite some office closures in Warsaw, Poland is regarded as unique to the region, with a much larger economy. Despite closing many of its Central and Eastern European operations in 2008, Linklaters kept its presence in Moscow and Warsaw. And since then, other law firms have shown continued commitment to Poland despite exiting neighboring Central and Eastern European countries. However, this year is an election year for Poland. The White & Case partner says that with an election, there are always going to be question marks over transaction and investment work and whether these might be postponed. Bird & Bird’s Zalewski says that while the Polish economy is growing, and more businesses in the region are going international – meaning more work is opened up for international law firms – the different approaches of law firms can be the differentiating factor. The practice areas chosen by law firms on which to focus can also affect the stability of their Central and Eastern European work. Bird & Bird Budapest managing partner David Dederick says there has been “diversification of practices” in Hungary by many international law firms. And he highlights that the interest of foreign investors in Hungary is more “nuanced” now. He says there continues to be strong interest from investors such as automobile manufacturers and suppliers, and multinational shared service centre operations, but less interest among others, such as global private equity firms due to the lack of sizeable deals. Dederick says the office closures have led to a new trend among law firms – what he calls the “leave behind operations”. He says that after many international firms have pulled out of the region, the local lawyers have continued to operate, but as independent law offices that can effectively compete with international firms. The increased success of these smaller independents supports the characterization that Central and Eastern Europe does not necessarily fit within the network of many international firms. And yet some international firms are still standing strong: the market is still beneficial for firms that have Central and Eastern European offices in addition to a large network of other European offices. Zalewski says that he believes Bird & Bird was so successful because it managed as “one firm.” And with Bird & Bird focusing on technology that is flourishing in the region, the casualties have been among the firms choosing work that may present a potential conflict between the local state businesses and the international clients, or those specializing in M&A or other financial areas, which have both been shrinking.